Suffering From Ugly Concrete? If you look around, you will find old, stained and beat up concrete pretty much every where. 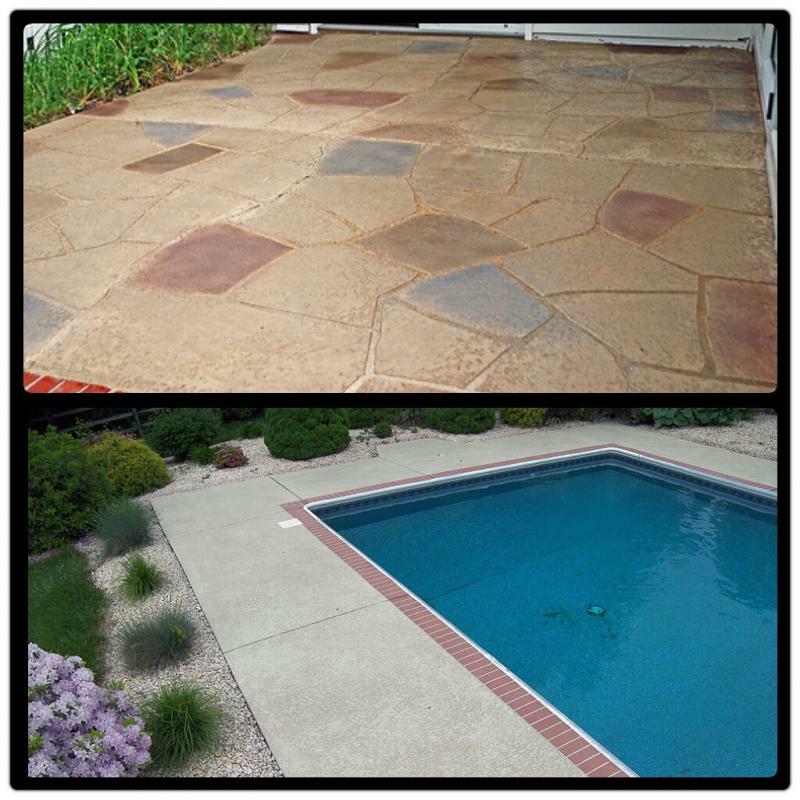 Old patios, walk ways, drive ways, side walks and pool decks can cost a fortune to replace. However, our Stamped Concrete Overlays are the perfect solution. Want to permanently cover up old ugly concrete? Or turn a plain-jane slab from drab to fab? Our decorative concrete overlays can give almost any concrete surface a complete face-lift. They can be installed on interior or exterior applications and at a much lower cost than removal and replacement﻿ of existing concrete. You choose the stamp style and approximate color shade that will fit your home or business. The resurfacing possibilities are endless. For example, when concrete resurfacing is used around a pool, an application that has texture for slip resistance would be chosen. So our Spray Splatter technique with a hopper gun would be a great fit. Concrete resurfacing with concrete overlays has been in practice for over forty years and new science has made our products the best possible on the market. 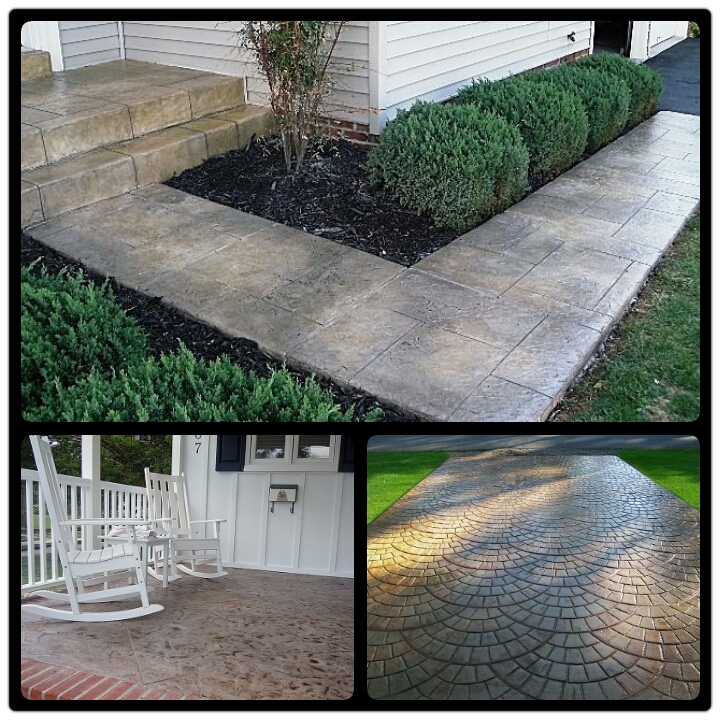 Give us a call to beautify your concrete surfaces today. Copyright 2011 Superior Resurfacing- Bath tub and Counter top Repair, Refinishing and Restoration. All rights reserved.